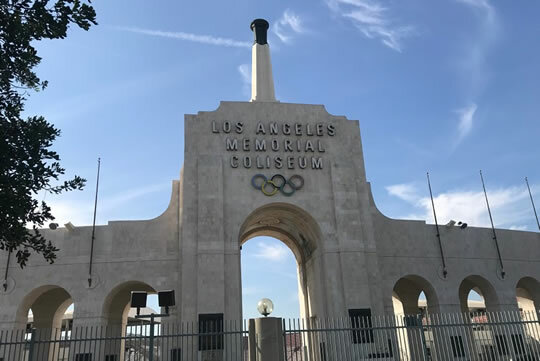 As you may have heard, USC is planning on changing the name of the Los Angeles Memorial Coliseum to the United Airlines Memorial Coliseum. As a result, I argued in my Op-Ed in the LA Times this weekend, this is a huge mistake. Unlike other sports venues, the Los Angeles Memorial Coliseum is not just a stadium — it’s a war memorial to those who served in World War I. Removing “Los Angeles” and replacing it with a corporate sponsor insults the memories of those the Coliseum was intended to honor.